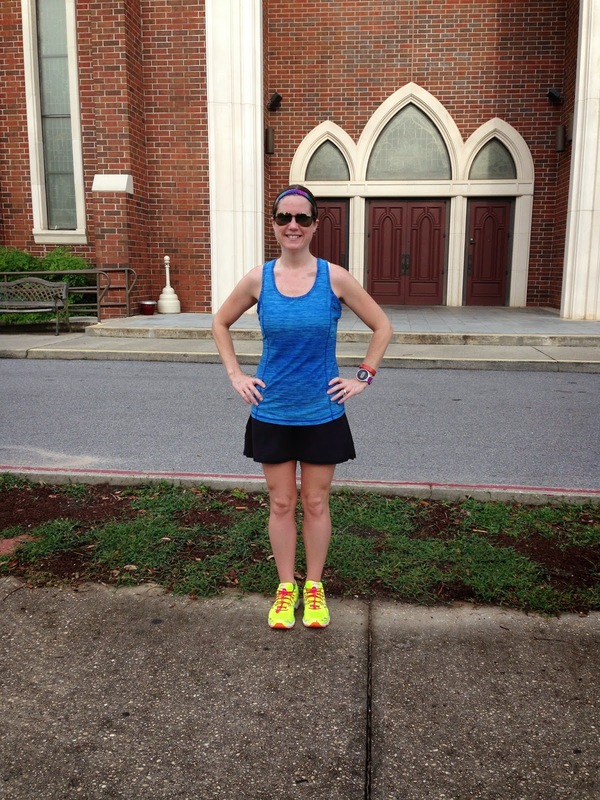 Road Runner Girl: 6.2 Miles Full of Adventure! Ahhh! Another long run just for fun! 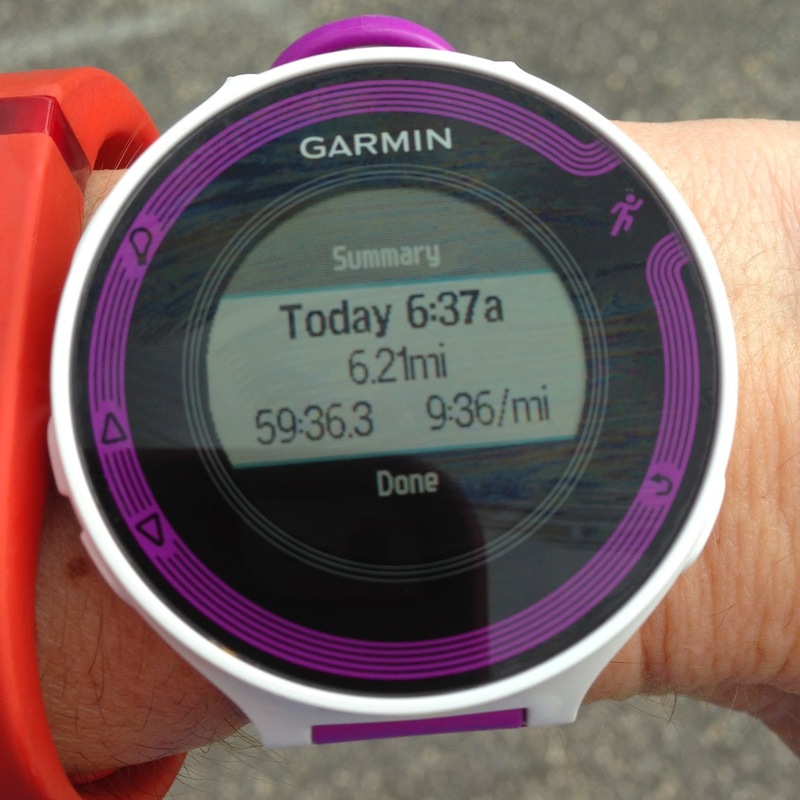 Since I'm not training for any races at the moment it is nice to just enjoy the long run. 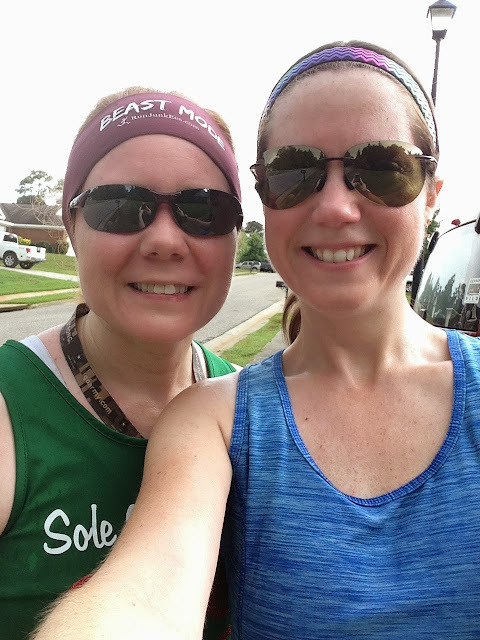 Saturday I had plans to run a 10K with Andria again! We decided to run the same route again since it is convenient and our favorite. I walked outside that morning to super humid conditions. I knew the run wasn't going to be easy in the heat and humidity. But that's the life in the summer time here on the Gulf Coast. We started the run nice and easy. I love running with friends! The conversation makes the run go by so fast! But right away we heard thunder in the distance. Uh oh! 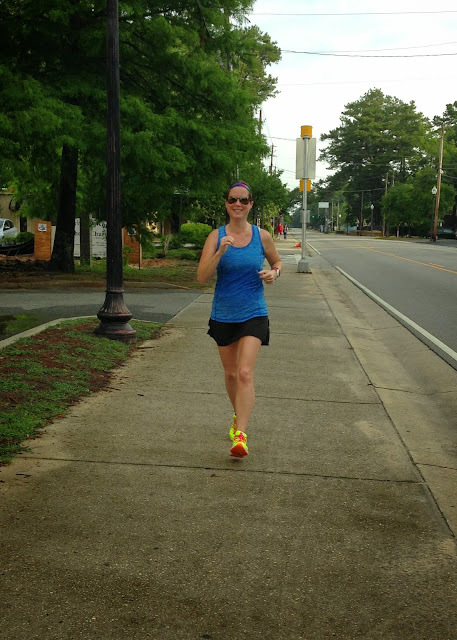 There was rain in the forecast but it wasn't supposed to happen until after our run. We decided to monitor it and keep going since it was still a long ways off. We hit mile 1.5 and Andria yelled out at me. 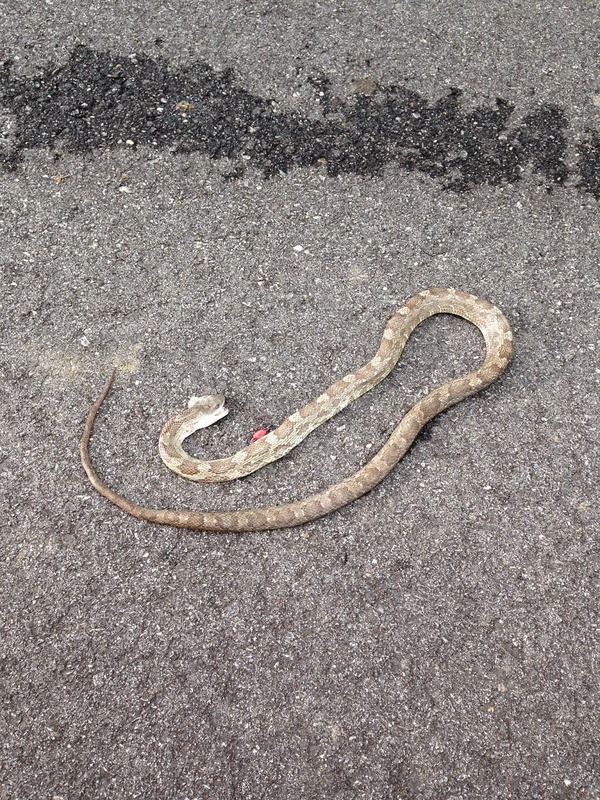 There was a snake in the road right in front of me! I screamed and ran way around it. I wasn't sure if it was dead or alive. It wasn't squished and I could see the roundness of its body so I just assumed it was alive. But I didn't stop to find out. That made us run faster for sure! We made it to the downtown area in no time! Right before our turn around a little bunny rabbit darted out from the bushes in front of me. I could tell he panicked because he darted out in front of me, stopped, and then turned around and headed back for the bushes. He was so cute and I was sorry I scared him. We made it to our turn around and stopped for a quick drink. It was so hot! We were both dripping what seemed like buckets of sweat! Before getting serious again we had a little fun. I bought my first Lululemon skirt and was wearing it that day. Andria took a few pictures of me running in my new skirt. I LOVE the ruffles in the back! After our fun we headed back home. We decided that on the way back we were going to see if the snake was still there. If he was then I was going to take a picture for my boys. They always want to see pictures when I tell them I saw a snake. But this mama ONLY takes pictures of the dead ones. I don't get close enough to take a picture if they are alive...yikes! So the next few miles were spent focusing on finding that snake. Kept my mind off the run...and made me super aware of any other critters lol! After the snake picture we only had a little over a mile left in our run. We were running on the street that always has lots of traffic. But for some reason, that morning there was barely any traffic. 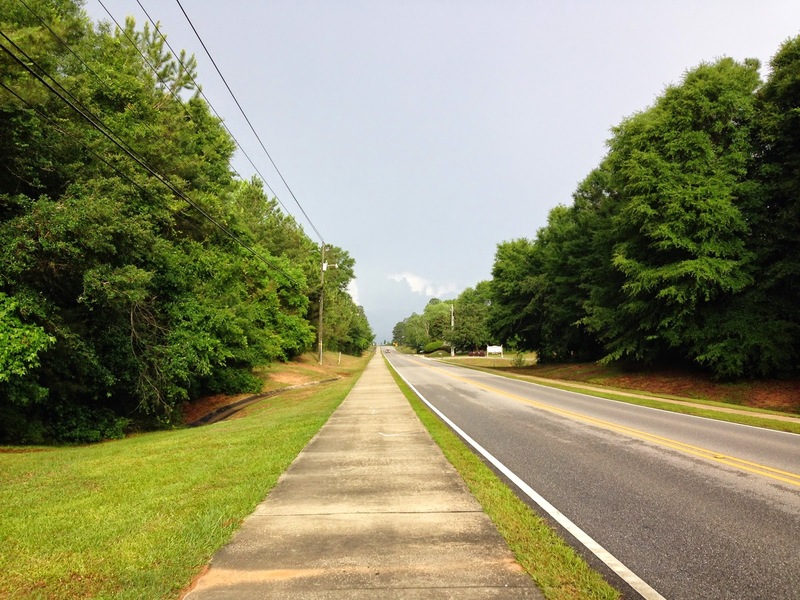 We turned onto my everyday route and were in the home stretch. Boom! We had done it! It was a hard run in the heat and humidity. But that didn't stop us! We had just finished running and then it started sprinkling! We had missed the rain...but we both said the rain would have felt nice when we were running! 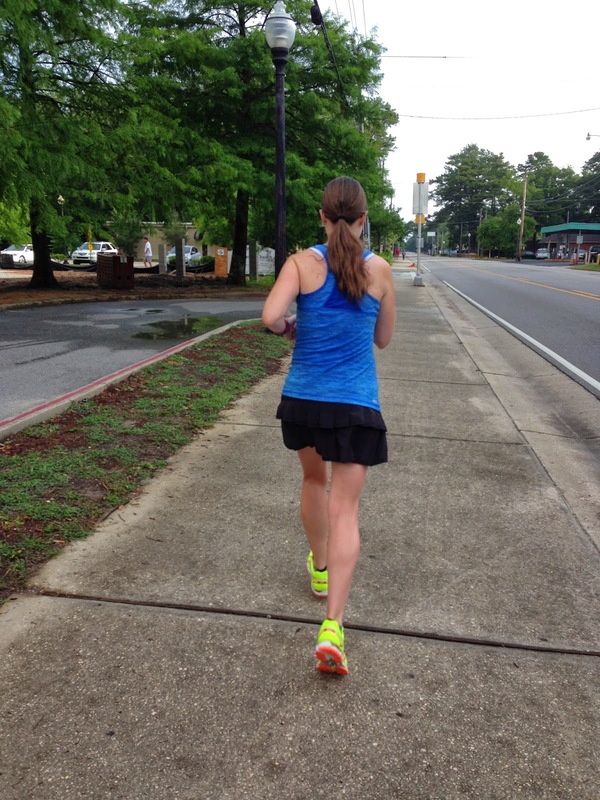 QOTD: Do you see lots of snakes while running in the summer?